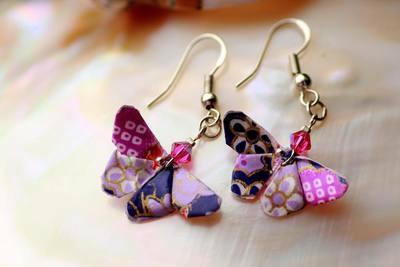 Butterfly is a popular symbol for young girls as they spread their wings and emerge into beauty and grace. Two butterflies dancing around each other is a symbol of marital happiness. Beautiful butterflies hand folded from Washi paper then coated with water resistant lacquer gives a long lasting shiny effect. Each earrings attached with Swarovski Crystals. Match beautifully with summer dresses formal wear or simply casual day out. 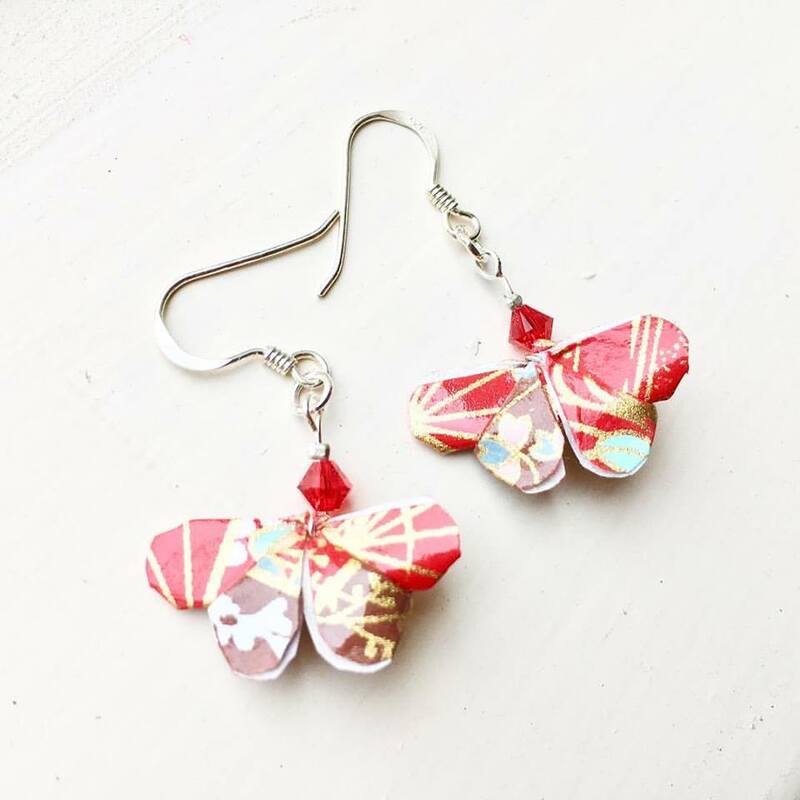 Beautiful butterflies hand folded from Washi paper then coated with water resistant lacquer gives a long lasting shiny effect. Each earrings attached with Swarovski Crystals and sway away with swirls from top down. Match beautifully with summer dresses formal wear or simply casual day out. 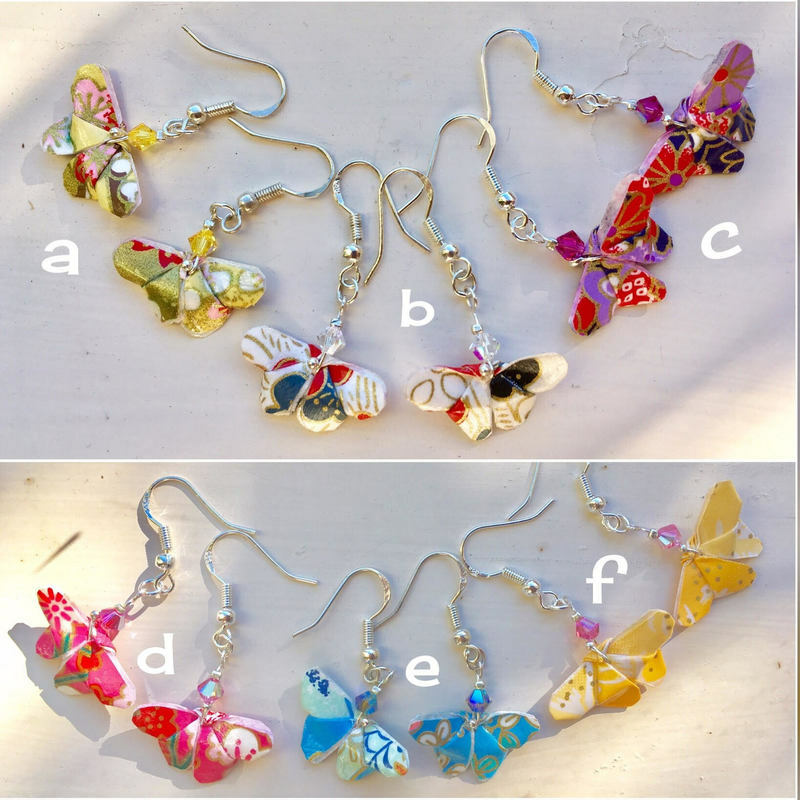 Butterfly with Swarovski Pendants-Sterling silver hooks. 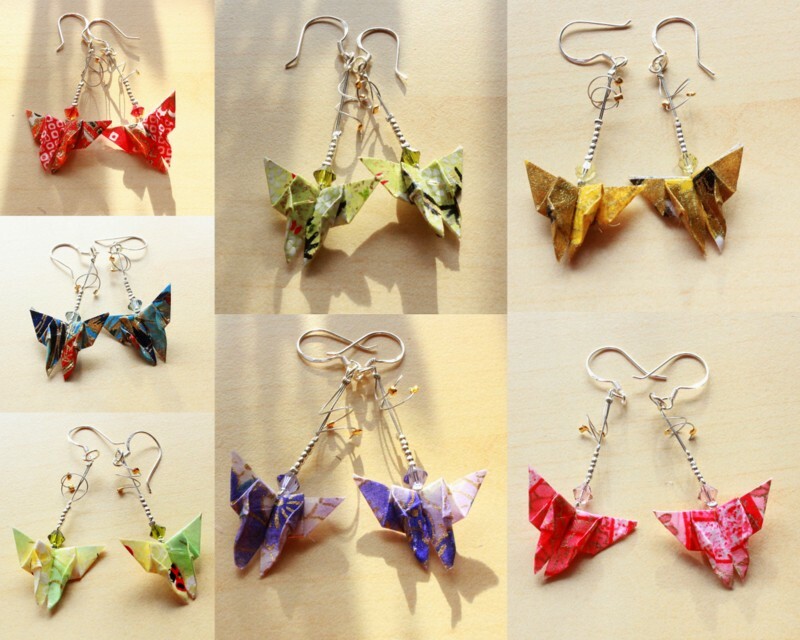 Butterflies origami earrings are hand folded from Washi paper polished with water resistant lacquer gives a long lasting shine effect. Each pair of earring assembled with Swarovski Crystals and sterling silver. Match beautifully with dresses formal wear or simply casual day out.Patterns may be slightly different from photo.